Thoughts / News — Think! Ive noticed something going on in our hometown, New York City, for some time, and I'm going to call it the blue building syndrome. The buildings are not really blue, but they look blue, a very light cool blue, they are huge and they are going up all over town. They are sleek, minimalist, elegant, expensive and rather bland. They are the default setting today for large-scale commercial development by the largest developers around. And the big architecture firms are falling in line producing them, including such distinctive names as Diller Scofidio & Renfro and Fumihiko Maki.. Go down to the re-built World Trade Center or to Hudson Yards. Its as if someone designed the perfect glass curtain wall system and everyone agreed its the thing to do, which leaves only the building shape as the variable - with their straight lines, or tapered walls, or curves, or even tilting towards collapse. The blue-ness comes from the glass reflectivity, and the walls blend into the sky in a way that makes them almost disappear, as if apologizing for existing. They take on an ephemeral quality, and a lightness that is somehow pleasing and stultifying at the same time. I would say that it began right after the attacks of 911. Maybe this is OK. If one looks at old photos of the Lower Manhattan skyline in the 1940s, its a marvelous sprouting of consistent limestone spires. I think its the consistency of tone and the impossibly narrow towers that made it so breathtaking, and unlike anything that came before. So maybe vast clusters of the new blue buildings will be like an eruption of quartz crystals, a new glazed version of that old Lower Manhattan. Or maybe not, if the next thing will come to be before such a thing can ever materialize to critical mass. We have been fortunate to have had the recent opportunity to work on a number of modular residential projects. These have ranged from small condominium buildings on infill sites in Manhattan to a recent proposal for a 160 unit affordable housing project on an open site in East New York, Brooklyn. We’ve come away from these projects impressed with the possibilities this type of construction offers in terms of quality and speed of construction and we have also learned a number of lessons that will help us improve the process of designing modular projects going forward. It appears that modular construction is on the cusp of much wider acceptance with a larger group of dependable manufacturers serving the New York City market. Please take a look at a recent article from the New York Post about think! and modular construction. Just click on the image below. think! is excited to announce its Glenmore Manor Apartments as the chosen competition winner as part of New York City’s HPD Brownsville Plan. Along with the African American Planning Commission, Inc., Brisa Builders, and Lemle & Wolf; think! designed a compelling building including 230 affordable homes for low income households, ground floor commercial space, and supportive spaces for young business developers and entrepreneurs. Last year I was driving through Los Angeles with friends. I live in New York City, and don’t own a car, but have always been intrigued by LA car culture, and how it has shaped the city. I never really thought much about their freeway system except for the legendary horror stories of 12 lanes of bumper to bumper standstill traffic, featured so often in movies. But after years of taking New York’s highways, I realized how beautiful they can be in LA. Why is that? Why so lovely? A freeway lovely? The grandeur of these poured concrete curving structures seems to celebrate the very idea of mobility, and their utter simplicity and power of form strike me as something Le Corbusier might have designed, or derived from some great temple at Luxor. While New York celebrates commerce though the invention of the skyscraper, beautiful spires marking the city like mediaeval churches, our highways seems to be a complicated tangle of steel, concrete and bad signage. They are a means from point A to B but hardly enjoyable to be on and one can’t wait to get off, and back into the civilized City. They are in opposition to New York, while in LA they are of the city. 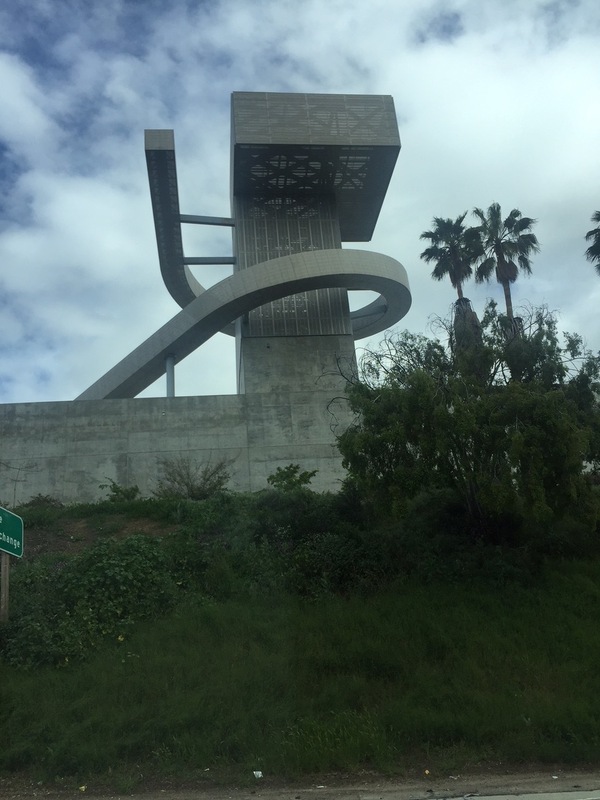 I wonder why these freeways in LA appear so lyrical to me. Maybe it’s because the city is so much about the automobile, and when a city inhabits an idea so fully, the design it manifests is inevitably compelling. Or did enlightened engineers take over at the local transportation department there at some point, or a mandate came from up high about how pure engineering equals beauty, or something? Or was it a larger idea of modernity or the zeitgeist of the 20th century metropolis that took hold when these roads were built? They are so compelling that the architecture firm Coop Himmelblau designed a high school hard by the Hollywood Freeway that looks to me to be homage to the freeway system. It seems that only in LA would that ever happen. New York City is awash in new residential building projects known as Affordable Housing, driven by Mayor De Blasio's push for 200,000 new or preserved affordable apartments and the need for middle class and lower income people to remain in the City. Architecture firms in NYC are building entire practices around this mandate. For years, actually, large swaths of the Bronx and Brooklyn are being rebuilt with new, publically financed structures. Due to various forces having to do with finances, regulations and a shear lack of imagination, these buildings blend together into a bland, predictable housing stock that adds little to the local community except for clean and decent places to live, no small task. But I ask, why does New York’s affordable housing have to look “affordable”? The attributes of this “style” are typical – the cheaper “jumbo” red brick, the horizontal stripes of contrasting brick, and the same relentless under-scaled windows. It has a mean-spirited look and its everywhere. It is creating a city of no character, no identity except an identity of scarcity. I believe everyone deserves inspired and innovative design and it’s our job as architects to test the limits of what can be done in this building type. Otherwise we are conveying the message that lower income people don’t really matter, and neighborhoods in outlying areas don’t matter either, and they do. With some ingenuity, thoughtfulness, and most of all, empathy, we can raise the bar of affordable housing design significantly, as it is in many other parts of the country and the world. Being in the midst of this building type now, we at think! understand how hard it is to negotiate innovation and quality within the confines of public agencies and their demands to maximize unit count and minimize construction budgets, all within an over-heated construction market. We understand the pressure that puts on architects to produce the same predictable outcomes – the lowest common denominator. But we can’t settle for that. We have to do better. Achieving quality and innovation in affordable housing is really hard – but is not a factor of high budgets. It’s a matter of imagination. And that's our job. Joseph Auld has joined think! as our director of Client Development. In that role Joe will work with the firm principals to develop new client opportunities and to actively maintain ongoing client relationships. 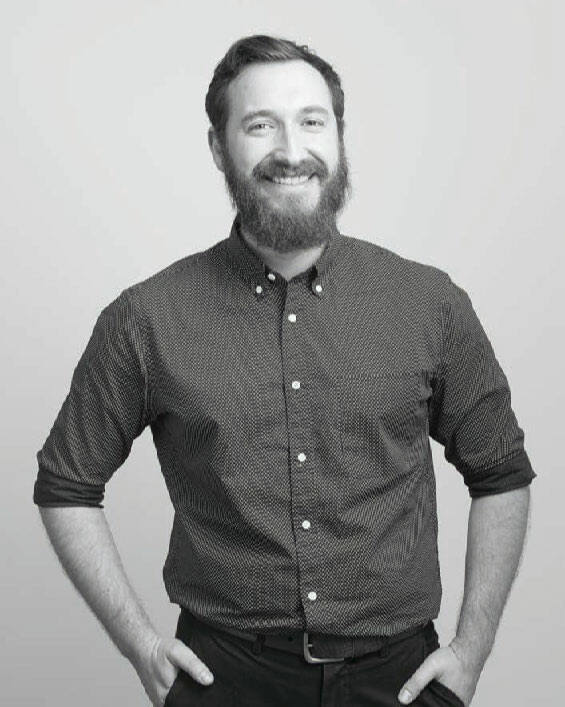 Joe trained as an architect and has spent the majority of his professional career working as a project manager for private and institutional clients. He brings his wide background in development, construction and management to his role at the firm. Color is never static; it is always changing as light shapes its ultimate form. Painting easily captures a moment of this continued change, but in order to discover it one must, as Octavio Paz does with the paintings of Rufino Tamayo, circle around them in spirals as if waiting to finally land with a gaze that is at once conniving, reflective and magnetized by its prey. I borrow this description as a way to explain a fascination with how color and space defined my experience of the Heidi Weber pavilion by Le Corbusier. Something similar occurred many years ago when walking into the rooms at the courtyard houses in Pompeii that preserved their murals saturated in always changing red or black walls that reveal delicate painted filigrees up close. Panels that seem to be a mere decorative color for the room transform into parts of a story or myth depicted on the walls. At both these places I felt I was circling and being engulfed by the essence of color. When approaching Le Corbusier’s pavilion the overall form is comprehensible: umbrella-like roofs that nest and comfort the metal and glass cubic forms below. However, once at the main entry and past the vestibule, this total vision disintegrates into unique spatial episodes that try to run away but are brought together by color. Be it the primary color panels on the outside or the softer color walls and ceilings in the inside, each space establishes a different story for itself. Primary color panels place themselves in our view through a window to the green and blue landscape towards Lake Zurich. This outdoor canvas in the making reminds us that we each are fabricating our own painterly views. At the top terrace, the colors of the tilted steel roof create endless angular geometries that, knowing that not a single view is privileged, provide a sense of calm and comfort to enjoy every vista equally. As each space has a rich color experience, the cleansing of the palette between them happens through the ramp and stairs that tie them. These suspend color by being the only objects made of concrete making the experience more tactile than visual. As I walked away from the pavilion, all these color vibrations and shapes slowly furled up closing the building in on itself, only to be discovered once more. We welcome the following new staff to the think! team. We are proud to announce that we won the Society of American Registered Architects National Design Award for our waterfront complex plan in Newburgh, New York, in the urban planning category. This multi-building residential complex, with its landscape components and new ferry terminal, is meant to help economically revive this old Hudson river city. On June 16 the Roosevelt Educational Alcoholism & Counseling Treatment (REACT) Center, designed by think!, opened its doors to the community. 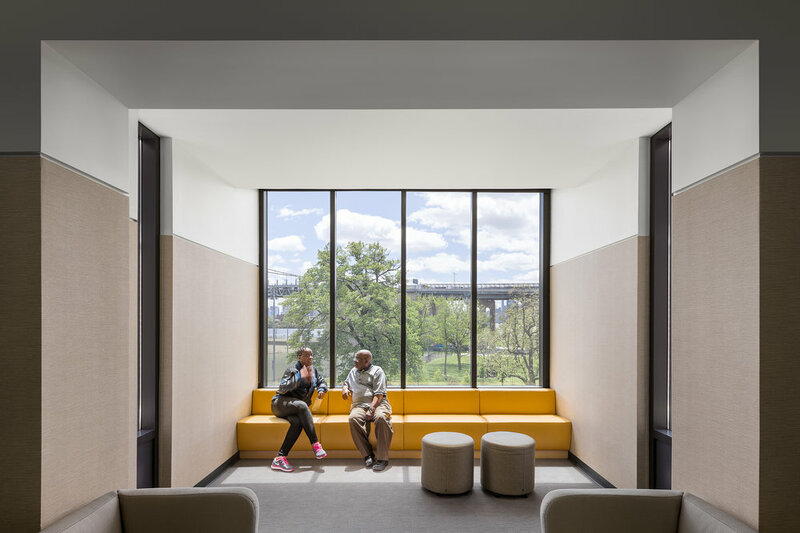 Director Carol Jobson praised the new Center's design, filled with natural light, color and natural materials, as being a reflection of renewal and hope for their clients in outpatient treatment. The project included a total interior and exterior renovation of a dark and dilapidated warehouse. After months of deliberation, the NYC Housing Authority has selected the team of think!, Lemle & Wolff, Alembic Community Development and The Bridge for their Betances VI site in Mott Haven, the Bronx. This 15 story, 101 unit building will consist of affordable family units, housing for formerly homeless veterans, support space for The Bridge and a significant retail component on Willis Avenue. We have been honored by the Brooklyn Chamber of Commerce, who gave our 215 unit condominium in Williamsburg, Brooklyn their 2017 Brooklyn Builds Design Award, residential category. This full-block, 500,000 square foot, high-end residence comprises multiple unit types wrapped around a large central courtyard. The street facades are each designed to integrate into the low-rise neighborhood, while mitigating the enormity of this building's scale. Our 165 unit rental building in Crown Heights, Brooklyn has recently been completed and is occupied. Designed to be a simple but elegant and cost-effective solution, our client, Heights Advisors, self-built the project. Our new 133 key, extended stay hotel for Marriott has recently topped out at ten stories. The hotel is located in an industrial area in Long Island City that is quickly transforming into a hospitality district. Our overall design approach on this project, as an unexpectedly contemporary design, has expanded the Marriott brand to appeal to a sophisticated demographic. Completion is expected in December 2018. We are pleased to report that our design for Pratt Institutes's new Department of Film & Video has won a design award from the New York State chapter of the American Institute of Architects. think! principal Jack Esterson, class of '75, attended the awards ceremony in Saratoga Springs, NY. This Fall, Don Flagg has joined the think! team as our Studio Director. Don has devoted much of his thirty years of design practice to major public works that have had a profound impact on the lives of New Yorkers, including the revitalization of Grand Central Terminal. 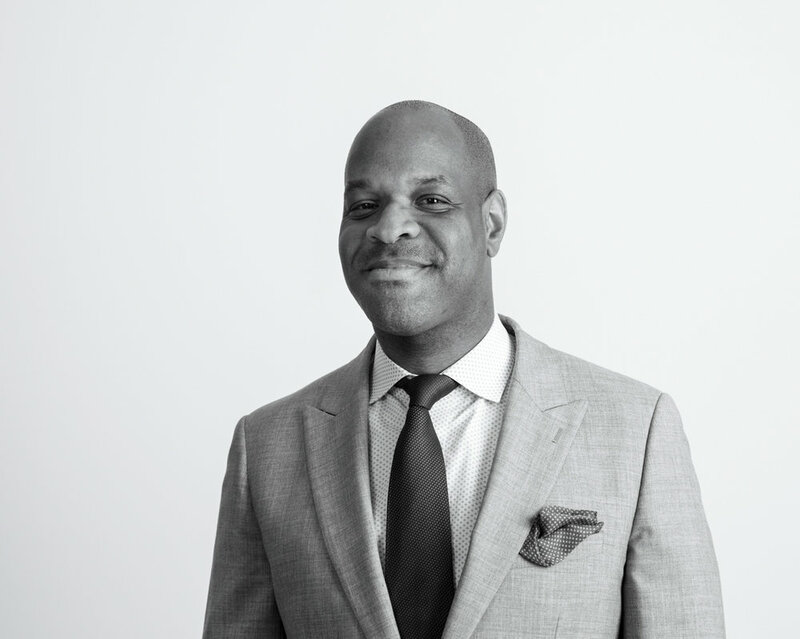 With his expertise in master planning, preservation, interior planning and construction, Don is committed to creating architecture that creatively responds to the user's needs, intelligently engages its urban context and achieves design quality of the highest caliber. Our affordable senior residence, designed for the not-for-profit Hanac Inc., has topped out in Corona, Queens. This 68 unit project has been designed as a Passive House building, and includes intergenerational and active design principles, as well as a high degree of sustainability, to create a new model for this building type. 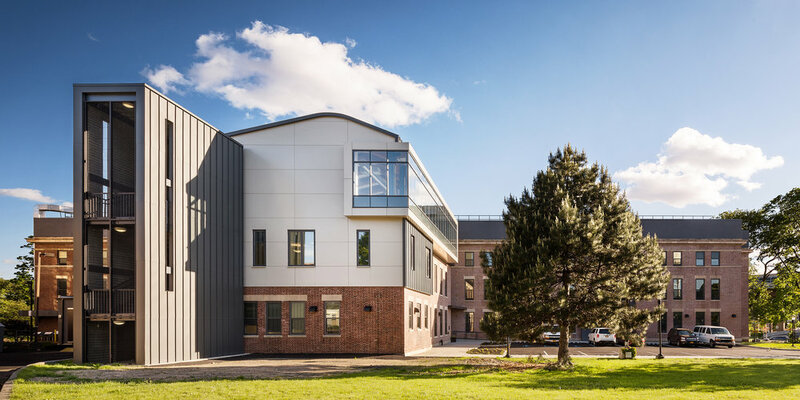 On May 11, Odyssey House Executive Director Peter Provet presided over the opening ceremony of their newest and largest residential treatment center on Wards Island, NY, designed by think!. 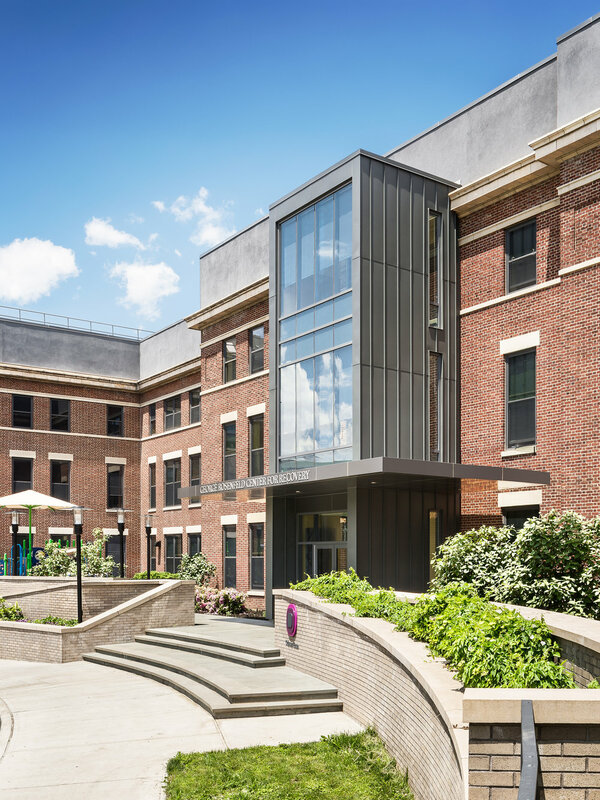 Converted from an abandoned hospital, the new facility houses 240 men, women and teens in substance abuse recovery in what Dr. Provet describes as a national model for what therapeutic recovery centers can be. I guess it’s a real no-no to criticize a colleague’s work, but sometimes a project is just so bad [and so emblematic of a prevalent developer attitude] that one really has no choice. This project, whose ground breaking was just announced in the NYC real estate cyber world, is a mixed use development at the site of the long languishing Victoria Theater on 125th Street in Harlem — on the same block as the Apollo. Its design, if it can actually be called that, seems to epitomize the “something is better than nothing” attitude that has done so much damage to the street over the years rendering it an anonymous “anywhere” rather than the bustling “somewhere” it once was and, one can only hope, could still possibly be. There are so many architects in New York who would have done an interesting building on this site that could have contributed to the renaissance of 125th Street as an important urban thoroughfare rather than the proposed extravaganza of pseudo-architecture that will do nothing but degrade what little is left of the street's architectural vibrancy. The building is a compendium of so-called architectural devices intended to give it character and to breakdown its ponderous scale. Ironically, they do just the opposite, creating a scaleless behemoth covered with gratuitous surface manipulations signifying nothing. Clearly no building can be judged only on its own merits without considering its effects on the street, its neighbors and the city as a whole. Not only is this building an architectural monstrosity in and of itself, it is also a brutal insult to a once great street and a noble precinct of the city. Are buildings and architecture synonymous? It has always been an interesting question for me as to whether a distinction can be made between buildings and architecture. That is to say between structures that improve the world and those that only provide a function and just take up space. This is more than just a distinction between good architecture and bad, is no architecture better than bad architecture or pseudo architecture? Is Stuyvesant Town better than the awful buildings lining 4th Avenue in Brooklyn? Are there, in fact, buildings totally without architecture or does the very fact of building, particularly building something big, require a level of intention, decision making and choice that inevitably makes the built thing architectural? Then I saw this photograph of a large group of buildings, perhaps an entire neighborhood in Pyongyang, North Korea, and the question was answered. This entire section of the city has been intensely developed, with tall buildings, and yet is totally devoid of architecture – this much is immediately clear, is it so different than the public housing projects of New York, Philadelphia, Chicago or any number of other cities? More difficult to understand, perhaps, is what it is that’s missing, the presence of which would make these structures more than just buildings. If you didn’t know better, it would be easy to believe that the Pyongyang buildings are really some kind of ominous rendering of the set for some sort of apocalyptic sifi movie or a primitive Sim City-esque computer game run amuck – buildings sprouting and growing as the result of some mutant, metastasizing algorithm rather than a place for real people and real families to live. Nothing differentiates one building from another or one use from another or one part of a building from another. And, as horrifying as the skyline of these buildings might be, I can only imagine that the street level is even worse with endless blocks of undifferentiated streets.